It’s the most wonderful time of the year in Dubai ! To celebrate the festive season, we’ve got a fabulous gift hamper up for grabs. Just be sure you’re following us on Instagram & Facebook, subscribe to this blog & confirm on whatsapp. Easy peasy ! Make sure to check back on 23rd December to know if you are a winner ! Step 4 – Whatsapp on 050-4545049 with message “Christmas Giveaway” and your Name/ FB / IG/ email address so we can verify if all four steps are carried out. ALL FOUR STEPS HAVE TO BE FOLLOWED IN ORDER TO QUALIFY FOR THE HAMPER. This giveaway is open ONLY to residents of Dubai, sharjah and Ajman in United Arab Emirates. Giveaway ends at 8pm on 22nd Decemeber 2018. Winner will be announced here on 23rd December. Good Luck ! 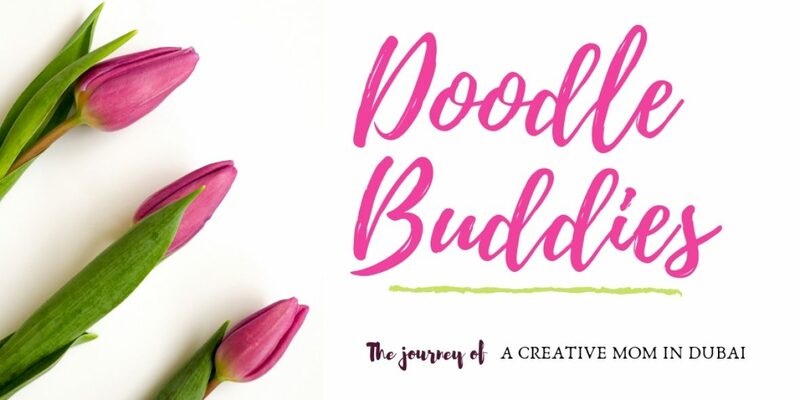 **Note: all items on the blog giveaway were personally purchased by the founder of Doodle Buddies. We are in no way, shape or form being sponsored or endorsed by any of the companies who we purchased items from. The items were chosen at random & have been fully paid for. OUR NEXT GIVEAWAY WILL BE IN JANUARY 2019 !! We hope you’ll enter the giveaway and tag your friends too !